Just because a person believes in a secured border does not mean they’re racist. 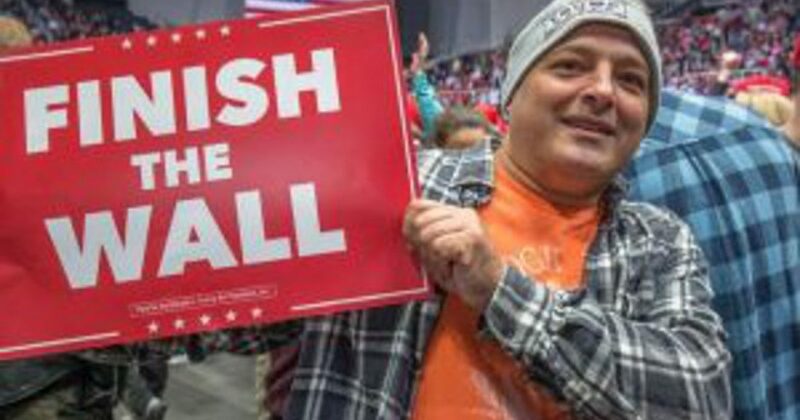 A restaurant owner from the city of Charlotte, North Carolina is receiving a whole lot of bitter hate after a photograph was taken of him holding up a “Finish the Wall” sign at a Trump rally held in the area. Grant Baldwin, a Charlotte Business Journal photographer took the picture of George Prisco holding the sign, which has now led to hundreds of people stating they are going to boycott his restaurant. Carter went on to say that Prisco has every right to share his views, however, according to her, these views are “racist and xenophobic,” therefore people have a right to respond to that by choosing to go elsewhere for business. This might not be a very popular thing to say, but Carter is absolutely right. Don’t conservatives do that exact same thing all the time? A company comes out in favor of a liberal policy position or candidate and there’s an immediate call for a boycott. It’s been done a million times. No conservative, who truly values the First Amendment and the free market system, should be against these folks choosing to respond to Prisco’s political position by standing up for their own belief and opting to dine elsewhere. That being said, it seems pretty obvious that Carter’s take on Prisco’s views are flat out wrong. Sure, there are probably some folks who want the wall built because they despise folks based on race. We can’t deny that. However, that doesn’t mean that every single person who is in favor of a strong, secured border is racist. It’s a proven fact that Islamic terrorists see this weakness in our national security and want to exploit it. That’s not an unreasonable fear. It’s also not an unreasonable fear to want to keep criminals and dangerous cartel members out of our country. After all, we have enough of our own criminals as it is. Let’s try to be consistent conservatives and not jump all over the left for employing tactics we use ourselves, as that just weakens our example and prevents us from being able to win over hearts and minds to our value system.